The Employment Standards Act, 2000 (ESA) does not authorize a layoff in the absence of a contractual provision. In other words, this means that unless you have an employment contract or agreement outlining that a layoff or temporary layoff may occur during the course of your employment, your employer cannot legally temporarily lay you off. This concept has been supported by the Ontario Court of Appeal in the case of Elesegood v Cambridge Spring Service, 2011 ONCA 83. Regardless of whether the layoff is conducted in accordance with the ESA, your employer cannot do so without it being a term of your employment contract. This lack of right to layoff an employee applies even where the employer does not mean to breach the contract, Damery v Matchless Inc (1996), 151 NSR (2d) 321 (NS SC), or where the layoff is temporary in nature: Stolze v Addario (1997), 36 OR (3d) 323 (ON CA). 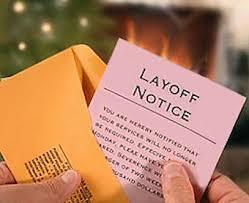 However, temporary layoffs are complicated, and navigating this can be a minefield. It is critical that you see a lawyer shortly after being laid off. In Kurt v. Idera Inc at the trial level the judge found that the employee had waited too long to object to his layoff and therefore it was too late for him, far before his limitation period. While Andrew Monkhouse of Monkhouse Law was able to appeal to the Divisional Court and have the trial decision set aside on technical grounds in this particular case it is very important that employees contact a lawyer quickly upon being laid off in order to know what their rights are. In this case, The Plaintiff sues for wrongful dismissal after 15 years of working for the Defendant. The Plaintiff was told that he was being temporarily laid off and that he would be recalled back to work in three months. He was told by his employer to go onto employment insurance and he continued to receive his company benefits and company Blackberry for the period of the layoff. The Plaintiff took the position that the layoff was constructive dismissal and therefore he should be owed 15 months’ salary in lieu of notice. There was no term in the contract that permitted Gracious Living to place Mr. Bevilacqua on lay-off and there was no implied term that would have allowed the layoff after 15 years of employment where the prospect of a layoff has never been raised with him. It was found that Mr. Bevilacqua’s layoff did constitute constructive dismissal and therefore notice was to be awarded. An employee has the duty to mitigate their losses, which is to try and find a new job in order to begin gaining an income again, when they have been terminated by their employer. There must be reasonable steps taken to look for alternative employment. In the above noted case, it took the Plaintiff 15 months to find new employment and he was seeking compensation in the amount of 15 month’s salary in lieu of notice from his former employer. During trial it was found that his efforts to find a new job were no more than casual conversations with various people and in the end he was found to have not mitigated his damages sufficiently. This meant that the Judge considered his attempt to find a new job in order to being gaining an income again were not sufficient enough. The Defendant had offered the Plaintiff his job back, with no demotion, no change, and no hard feelings. The employer and its employees remained on friendly terms during the layoff period. The trial Judge stated that there was nothing either in law or in interpersonal relations with his employer that prevented the Plaintiff from accepting the offer to return. While it was found that the Plaintiff was constructively dismissed and that he was entitled to pay in lieu of notice, the Judge limited that notice to three months as this is the length of time the Plaintiff would have been out of work had he taken sufficient steps to return to work with the Defendant when it was offered to him. In other cases it has been found that employees are not required to go back. And so it is critical to have an experienced lawyer guiding you through these decisions. What to do about Layoffs? Monkhouse Law has experience dealing with complex layoff matters, including success on appeal relating to layoffs, constructive dismissal, and wages owing in layoff situations. If these are issues you are dealing with make sure to contact us at 416-907-9249 today for a free consultation.